MPA Event Refund Policy: A 100% refund will be made if the event is cancelled. Refunds, less a $10 handling fee, will be given if a written or emailed cancellation is received at least five working days before the scheduled program begins. No refund will be given after Thursday, April 4, 2019. We look forward to seeing you on Thursday and Friday! Online registration is now closed. Walk-ups are welcome onsite! Click here to view the full schedule with session descriptions. Click here to view the poster presentation schedule with topics. Click here to view the schedule at a glance. Click here to view the registration brochure which includes a PDF summary of the schedule. *To receive the student rate, you must be a full-time student. MPA reserves the right to request copies of student fee statements to verify status. Thomas Joiner went to college at Princeton and received his Ph.D. in Clinical Psychology from the University of Texas at Austin. He is The Robert O. Lawton Distinguished Professor in the Department of Psychology at Florida State University (FSU). Dr. Joiner’s work is on the psychology, neurobiology, and treatment of suicidal behavior and related conditions. 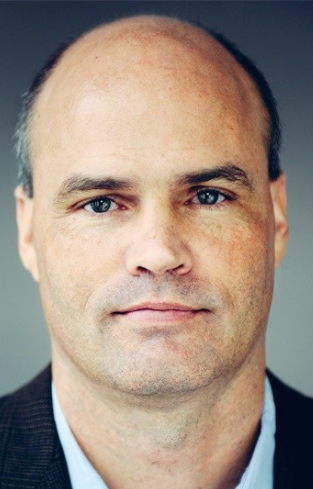 Author of over 675 peer-reviewed publications, Dr. Joiner is the Editor-in-Chief of the journal Suicide & Life-Threatening Behavior, and was awarded the Guggenheim Fellowship. He received the Dublin Award for career achievement in suicide research from the American Association of Suicidology, as well as research grants from the National Institute of Mental Health and Department of Defense (DoD). The Lawton Professorship and the Dublin Award are the single highest honors bestowed, respectively, by FSU and the American Association of Suicidology. In 2017, he was named a Fellow of the American Association for the Advancement of Science. 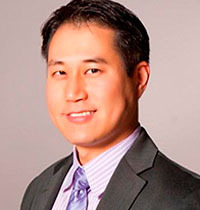 As the medical director for Hazelden Betty Ford Foundation's youth services, Dr. Lee is Hazelden's thought leader on matters related to youth, addiction, families, and mental health. A triple-boarded physician, he completed his Adult Psychiatry residency at Duke University Hospital and his fellowship in Child and Adolescent Psychiatry from Johns Hopkins Hospital. He is a diplomate of the American Board of Addiction Medicine and is a member of the American Academy of Child and Adolescent Psychiatry's Substance Abuse Committee. 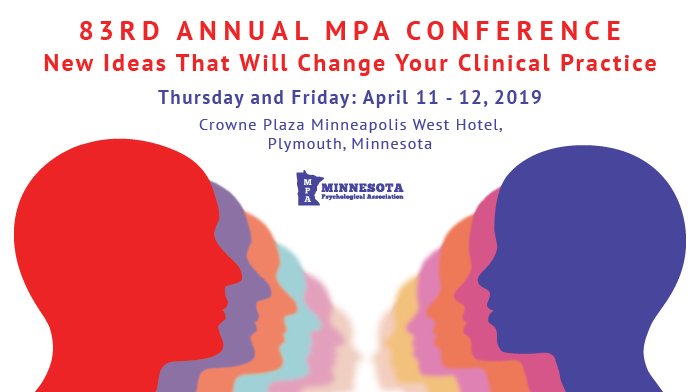 If you need a hotel room, be sure to reserve one right away by calling (800) 227-6963 or (763) 559-6600 and indicate you are with the MN Psychological Association meeting so that you can get the negotiated discount. The deadline to make your reservation is March 20, 2019. Get involved today by exhibiting at or being a sponsor of the 83rd Annual Conference. As an exhibitor, sponsor, or advertiser, you will receive recognition throughout the convention and visibility to over 250 attendees. Our exhibit space sells out every year so be sure to sign up right away! The exhibitor deadline was Thursday, March 28, however, please contact Katie Benson for availability. Click here to view the different opportunities available. Matthew Syzdek, Ph.D., LP, M.B.A.
Convention attendees can earn up to 14.5 continuing education credits. Attendance at an entire session is required to earn continuing education credit for that individual Keynote Presentation, Concurrent Session, or Poster Viewing. Attendance will be verified by monitors in each session.